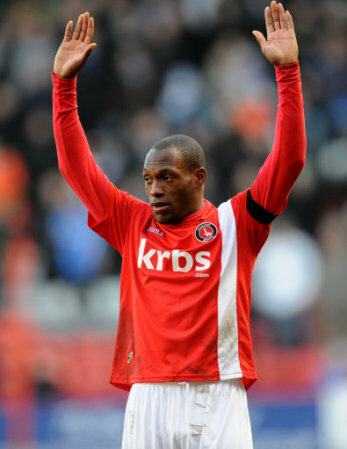 Charlton Athletic Online: Kyel Be There! No passion; no passion; no passion. Despair. No preview this week. No heart to predict another loss. Where are we going? Injuries. Loss of form. A manager making excuses, unhappy with the fans. Players unhappy – at fans, at the club, at the manager, at other players. Fans unhappy – at other fans, at the club, at the manager, at players. Going nowhere. New players in on loan, or short term contract. Will Randolph get a chance? Will anyone get a chance? If he plays and we lose, he’ll be out; if he doesn’t play and we lose, he’ll be out – no win. A young defender in – moving Dailly into midfield for the injured Semedo? It’s where he made his name with West Ham, protecting the back four. At least Fry can cover for the next left back injury! A striker who scores goals arrives – shock, horror! Mind you, he is 36 years old….better than nothing I suppose, and nothing is what we have at present. Make my day, week, season, Nicky Forster – score some goals for Charlton! At least it isn’t Emma this week – small mercies! Dailly captain. Mooney chases. Reid wriggles. Nothing. Forster bangs heads. Must stop the crosses. Town dangerous from balls into box. Slow start. Corner. Nothing. Dean Windass on TV duties; he’s fat…looks like Ricky Hatton! Radio on. Bad foul on Racon. Over the top. Peltier. Shades of Blizzard. Not sent off again…Joe Singh – good ref, got it wrong apparently. Racon OK, thankfully. Half an hour. Competing, but is spirit enough? Forster heads wide. Not a sniff of a goal. Nothing. Randolph punches. Corner. Then another. Cleared. Dailly fouls. Booked. Off the bar. Must stop the crosses! Semedo booked. Nearly half time. Bad time normally. Corner conceded. Uh-oh. Over. Phew. Half-time. Nothing-nothing. 44% possession. One shot. All the top nine level or in front. No help then. At least we aren’t Hayes fans – seven down in 35 mins! Off again. Corner. Cleared. Goalie hurt. Offside working…so far. Randolph kicks. Corner. Nothing. Don’t stop a cross…goal. Rhodes header. Simples. 53 minutes. Competing, but spirit alone not enough. Reid on fire. Cross but nobody on the end. Must stop the crosses coming in. Hour gone. Forster fouled. Nothing. Semedo warned…please no sending off! Subs time maybe? A bit more adventure. A bit more open. Scary. All hands to the pumps. Everyone putting in the effort. Will it be enough? Both sides attacking in numbers. Dailly puts in a good block. Goal getting nearer it seems, but at which end? Under twenty minutes left. Nothing in it. Sodje injured. Probably his dodgy knee again. Bet he doesn’t get an injection in his bum like his brother last week! Maybe just a bang in the face. Puts his head in where it hurts again though. Last ten. Wagstaff crosses. Nothing. Solly on for Borrowdale. Lino gives a bad corner, and Dailly not amused. Cleared, thankfully. Last five. Been meaning to cut my nails…no need now! Forster off and Akpo on. Must stop the crosses coming in. Sam Sodje clears for corner. Under pressure. Solly concedes free kick. Must defend better. Randolph saves. Hanging on. Reid wins a corner. Last minute. Nothing. Villa conceded seven, but Hayes went one better and let in eight (8). Groans and moans. Good – goal kick to Addicks. Three minutes injury time. Reid shoots but deflected wide. Last chance corner. Nothing. Full time. All square. Lots of spirit but what would a win have done? At least we can't hear Parky moan about the crowd this week. Still, down to fifth. But just three points off second – closest we’ve been for a while. If only. If only... Also still six points clear of seventh. Can we hang on in the last eight games? I’ll keep the blog going till the end of the season; thanks for all the kind words. I feel knackered after reading that Pedro! Straight from the heart. Liked the last line best of all. We might have dropped a place but I feel happy we've kept Huddersfield at bay, and hopefully get rid of Millwall into the automatics. I'd rather play reads in play off. I can hear the Covered end now - "Pedro is Pedro is back, ello,ello..."